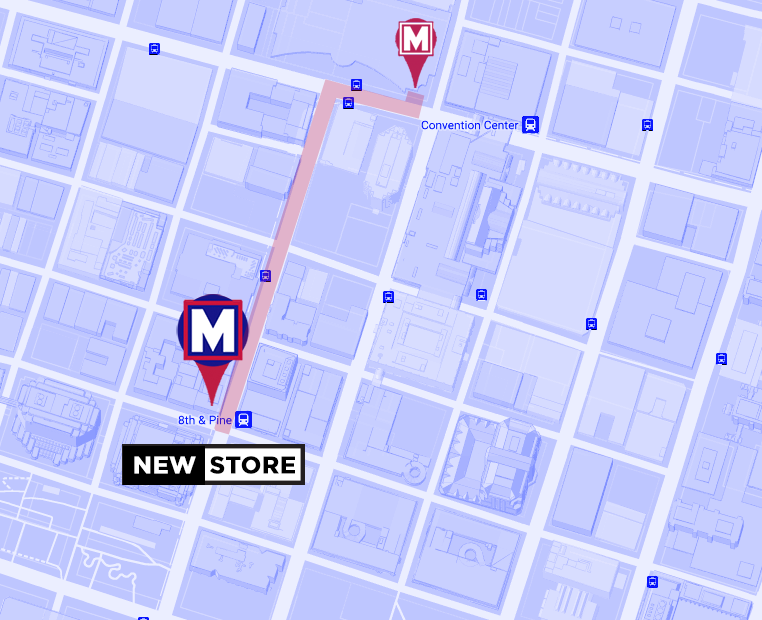 On February 1, 2018 we invite you to START HERE when the MetroStore officially opens at its new location at the corner of 8th & Pine in downtown St. Louis. The MetroStore is the exclusive, retail outlet of St. Louis Metro Transit that commuters from around the region have relied on for years for maps, schedules, transit information and to purchase monthly passes. The new MetroStore location will feature the same friendly faces and services you have come to expect but will also include an improved store design, new St. Louis themed souvenirs and an enhanced multi-modal transportation offering to help get you where you want to go. The new MetroStore location at 8th & Pine opens its doors on February 1st. Until that time, the MetroStore will continue to operate inside America’s Center at the corner of 7th & Washington Ave. Please note, the current location will close at 5:00 PM on January 26, 2018. Be sure to check this page for more information and updates as we get closer to our grand opening. Still have questions? Call one of our friendly MetroStore staff at 314-982-1495. We are here to serve you Monday thru Friday from 8:30AM – 5:00 PM.